Ultram is a brand name for tramadol, a drug used to relieve moderate to severe pain. It belongs to a group of drugs called opiate agonists and works by changing the way the body feels pain. About 1.9 million Americans meet the requirement to be considered abusers or dependents of prescription opioid painkillers, including Ultram. The relative ease of access to these drugs makes them particularly popular for teenagers. In fact, 70 percent of high school seniors who abuse prescription narcotics receive them from relatives and friends. As the problem of Ultram abuse grows, it becomes more important to understand treatment options available from rehab centers. Treatment is available in a number of forms and for all ages. If you are addicted to Ultram and would like more information on the best Ultram rehab centers near you, call our hotline at 1-888-341-7785 today. If you are addicted to Ultram, seeking the help of an Ultram rehabilitation facility can give you a new lease on life, and understanding the kind of treatment that is right for you will go a long way toward a healthy recovery. The first consideration to make is determining if you need inpatient or outpatient treatment. This depends on how severe your abuse is. If you take Ultram for any non-medical reason, you are abusing the drug. If you have been abusing Ultram and built a tolerance to it but you don't yet exhibit withdrawal symptoms, then outpatient treatment may be sufficient for you. However, if you have developed a physical addiction to the drug, meaning your body needs it to function and you develop withdrawal symptoms if you don't have access to it, then you should consider an inpatient treatment program. Treatment at Ultram rehab centers generally lasts for a minimum of 28 to 30 days. This is considered the shortest amount of time necessary for an addict to detox and begin a treatment program. Longer stays can benefit all patients, however, and if your addiction is advanced, a stay of 60 or 90 days may be required. If you show your loved one that you are concerned in a loving and supportive way, getting them to consider rehab could be easier. -Rehabs.com Ultram rehab centers offer completely confidential and private care. Treatment providers want you to get the care you need without having to worry about your privacy. Most facilities require roommates; however, roommates promote positive behavior and keep patients from becoming isolated. Many luxury facilities offer patients the option of private rooms. During treatment, you can expect a number of things to happen. First, you will receive a physical and psychological evaluation. During these evaluations, it is important for you to be completely honest about your drug or alcohol use and medical history, as well as anything else your doctor asks about. Your answers help your doctors create a plan of action for your treatment. After you are admitted, you will begin detox, the process of getting your body used to not having Ultram. You will be given good nutrition, medication and plenty of time to rest so that the process goes as smoothly as possible. After detox, you will begin therapy. Therapy can be conducted individually, in groups or a mixture of the two. Often, your insurance will cover part or all of your treatment. 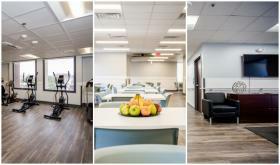 If insurance isn't an option, most private Ultram rehab centers offer you the option of paying for your treatment over time, allowing you to get the treatment you need and pay when you are in a better position to do so. Many different types of Ultram rehab centers exist to fill the needs of different types of people. Specialized centers that cater to certain age groups, religions, genders and other demographics can be found throughout the country. It is important to find a center that you feel comfortable in so your treatment can be effective as possible. Deciding which type of program to enter depends on what you hope to get out of your treatment. Some people want to stay close to home in a familiar environment, where they have family and other loved ones close by for support. Other people want to go somewhere new and get better alone, getting a fresh start and coming home after treatment to get on with their lives. Neither option is wrong. It just comes down to personal preference. If you would like more information on different treatment options at private treatment centers, call our 24-hour hotline at 1-888-341-7785 today. If professional circumstances have hindered you or a spouse from getting care for a drug or alcohol issue or behavior-related addiction, Executive Rehabs will be of interest. Leveraging excellent narcotic, prescription drug or behavior addiction treatments with the ability to use a computer or cell phone, a member of the management team can get help in privacy and seclusion. Often, modern drug, alcohol or behavior treatment programs provide the excellent amenities you'd normally enjoy in four and five-star hotels, with your comfort and enjoyment being the biggest goals. From fine linens and gym facilities to in-house massage therapy and housekeeping services, you can get the perfect narcotic, prescription drug or behavior treatment for yourself or a spouse while enjoying the surroundings. If you need a hand in locating the top luxury treatment clinics for Ultram addiction, call our no-cost hotline as soon as you're able at 1-888-341-7785. Being sure that you or the addict is ready for treatment is an important first step. While treatment does not have to be voluntary to be successful, people who voluntarily enter treatment are more likely to succeed. A treatment program at an Ultram rehab center could help an addict turn their life around, and those willing to put the work in and try their best will have better results. Before treatment, you should also have a plan for what you will do afterward. Many people join 12-step programs or other group therapy programs. Churches often offer addiction support groups for those who are looking for a faith-based approach. Other people choose individual counseling if group therapy isn't for them. Having a plan to continue treatment after you leave rehab is important. 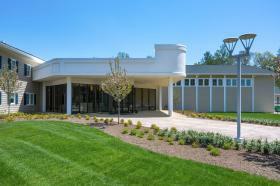 Most Ultram rehab centers will give you information on continuing treatment in your area. If you are considering treatment for yourself or a loved one, knowledge about addiction is powerful. If your loved one has a problem with Ultram addiction, you may want to learn about interventions and then consider staging one. If you show your loved one that you are concerned in a loving and supportive way, getting them to consider rehab could be easier. It is important to understand that it is never too late get treatment. People do things because of drugs that they may feel are unforgivable, or they may think that addiction is too strong to beat. 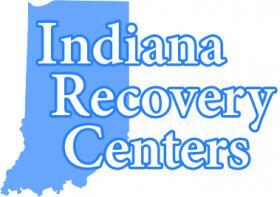 Private rehab centers have helped thousands of people reclaim their lives, and they can help you too. Overdose can lead to seizures, coma and heart attacks. If you need Ultram to get through the day and experience withdrawal symptoms or any of these side effects, you should seek treatment immediately. If you or a loved is addicted to Ultram and you need more information, call 1-888-341-7785 today.